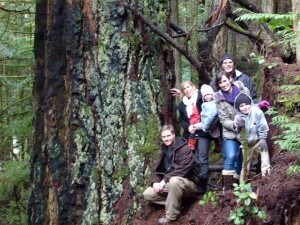 Update: January 2013 – The Wilson Creek Forest has been logged. WE NEED YOUR HELP NOW – Voice Your Strong Feelings and call to prevent further elimination of the last of ‘our’ ‘close proximity/low elevation’ community forests. 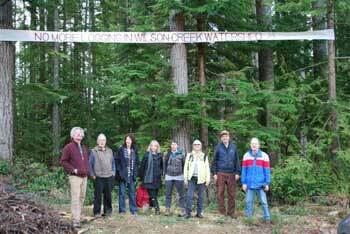 See – Ed Hill’s work of art ‘The Community Forest‘ from his ‘Artist Gathering’ visit to the Wilson Creek Forest. The Wilson Creek Forest, also known as cutblock EW002, is a beautiful low elevation 27ha forest directly above the community of Wilson Creek. The Wilson Creek Forest, just a 10 minute drive from Roberts Creek (directions at bottom of this page), is a key forest area providing connectivity across the lower slopes of the Mt. Elphinstone area. This Forest is one of the last remaining intact, natural forests left in the Wilson Creek Watershed and provides more long-term benefits to the community left standing than logged. This ‘never-before-logged’ area is situated between 2 Ministry of Forests Old Growth Management Areas (OGMA) and thus provides a link to these important protected zones. Click here for a Google Earth view of the Wilson Creek Forest (EW002). 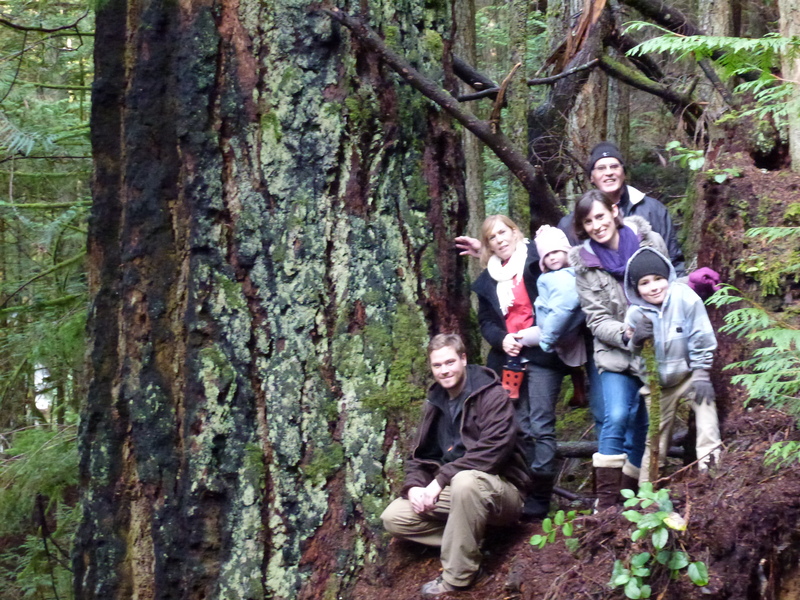 There are many reasons why the Wilson Creek Forest is important and deserves to be protected. Each reason in and of itself should be sufficient, but when all reason are brought together it is difficult for anyone to not agree they represent a extremely strong case for protection and preserving these forests. 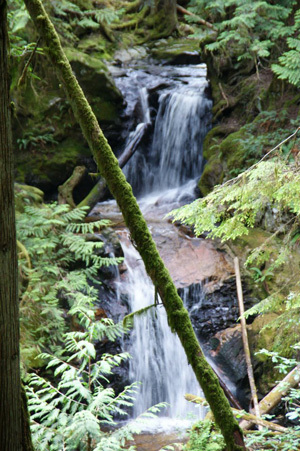 The Wilson Creek Forest is the key western forest in the proposed Elphinstone Provincial Park Expansion. Many are saying that this long overdue Park Expansion, when approved, will be the ‘Stanley Park’ of the Sunshine Coast (see the Elphinstone Park Expansion – Campaign). For this reason alone the Wilson Creek Forest should be protected for present and future generations to enjoy. and that ‘only 6% of the Coastal Douglas-fir ecosystem is protected in BC’. 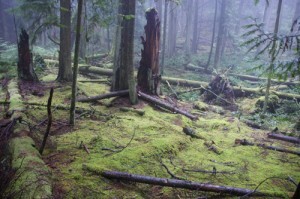 The Wilson Creek Forest could add to the contribution province-wide not to mention on the Sunshine Coast. For this reason alone the Wilson Creek Forest should be protected to increase the % of Douglas-fir on the Sunshine Coast – a threatened eco-system province wide. 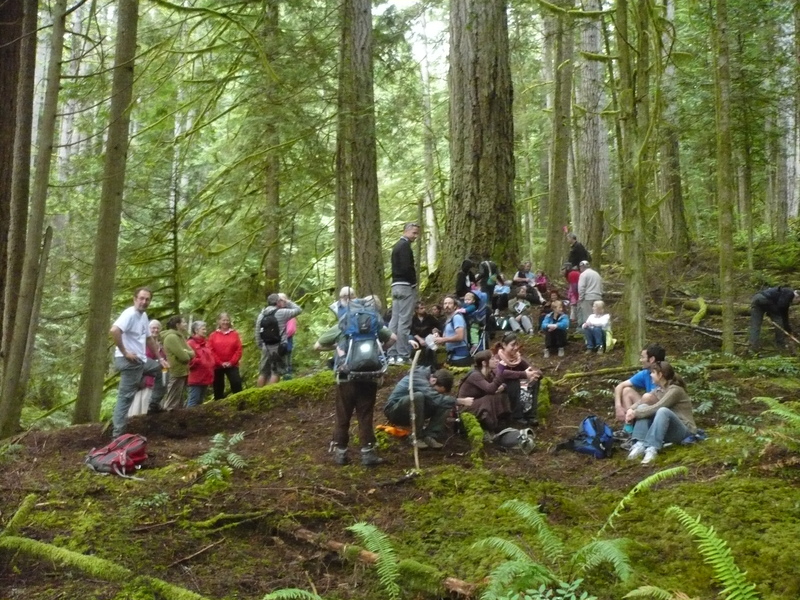 The Mt Elphinstone chart area is challenged by having an under-represented percentage of old-growth (250 yrs+) set aside, plus only 3% of the forest lands are locked away to protect bio-diversity. The Wilson Creek Forest must be protected so this eco-system doesn’t reach a tipping point of no return. 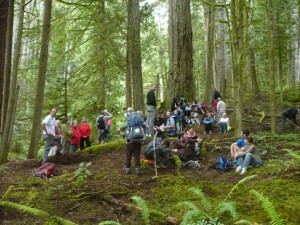 A recent field trip conducted by Elphinstone Logging Focus (LoggingFocus) into Sunshine Coast Community Forests’ (SCCF) proposed ‘urban-interface’ Wilson Creek Forest (Cutblock EW002) brought forth new concerns about logging and the need to have the forest protected due to its special features. 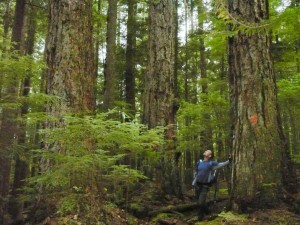 Within the block is a sensitive wet zone containing up to 15 Sitka Spruce. The Sitkas in this block are flagged to be spared from logging, however a spur road is surveyed just several feet above the trees and clear-cut logging is planned on all sides which pose several risks to their long-term survival. Sitka’s have shallow roots and as a result share an entangled root system due to this particular zone. Douglas Firs, in comparison, have tap roots that grow deeper down into the soil in search of water because they prefer drier growing conditions. The fact of the matter is that the Sitka’s shallow root system makes them vulnerable to blow-down,” Ross Muirhead of LoggingFocus says. 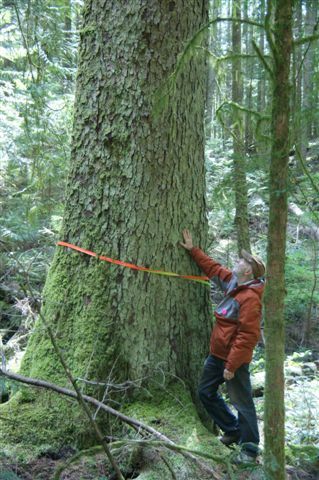 “Their tolerance for increased wind and water run-off is much lower than a Doug Fir. If logging is allowed to proceed, it will increase the probability of blow-down because clear-cut logging produces unpredictable wind dynamics. In addition, the adjacent logging road will re-direct water flows into the wet zone leading to dangerous soil saturation for the Sitkas. Muirhead says. LoggingFocus has documented this exact set of conditions in 2010 where 30 cedars were blown down in a winter storm just east of Wilson Creek in a BCTS clear-cut. With 2 nearby clear-cuts directly south of the Wilson Creek Forest, wind dynamics will lead to higher velocities through EW002 than normal. If one Sitka begins to lose stability in a winter storm there is high likelihood that a domino-effect will happen bringing down the rest of the trees because of the previously mentioned entangled root system. LoggingFocus predicts a complete blow-down of the stand 1-3 years post logging.